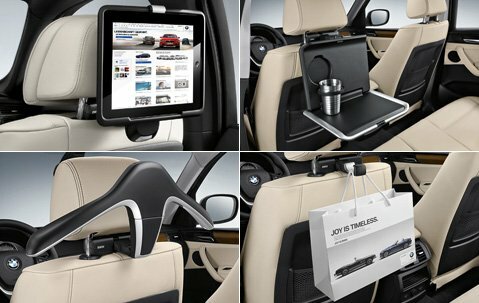 The X5 will come with the “travel and comfort system” built in. The back of the seat will accept attachments for things like a folding table or coat hanger. It used to a separate accessory that you had to buy but now it will be built into the seat. Previous Previous post: Should NASCAR have a hybrid future?